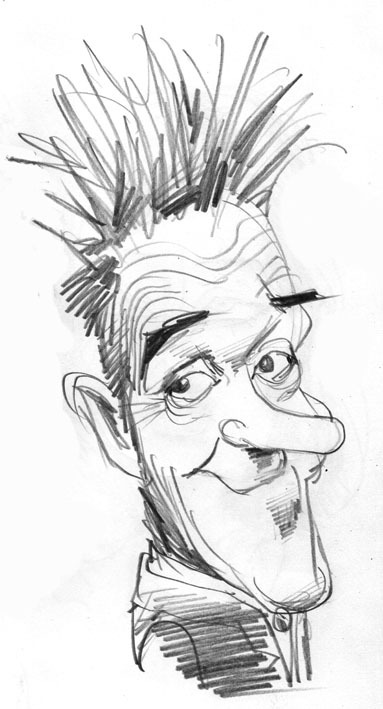 A (roughly) 5 minute pencil sketch of Stan Laurel. Everyday for the past 3 and a half weeks I've been drawing 20 quick pencil sketches of random people off the internet each day. That means today I hit number 500 since I started (my hope is that by the time I get to 1000 there'll be a noticeable improvement). Anyway, today Stan's head somehow came up ... a good head to draw!